Check out our Spring Sale with prices starting from just £14.95 including shipping/VAT. Have that fog free mirror, to give you that clear view tomorrow! To see our sizes select the "Mirror Sizes and Pricing" or to buy ON-LINE select the "Buy Now" button. All our prices include VAT and UK postage. This site is set up to sell single mirror demisters direct to the public, however our speciality is bulk orders to hotels, developers and house builders - worldwide. Please call us for our best bulk rates (orders above £1K+VAT). Unlike many others on the web we are a real bricks and mortar company, who have been making/selling mirror demisters since the 80's. Sorry we don't sell Mirrors or heated flooring. 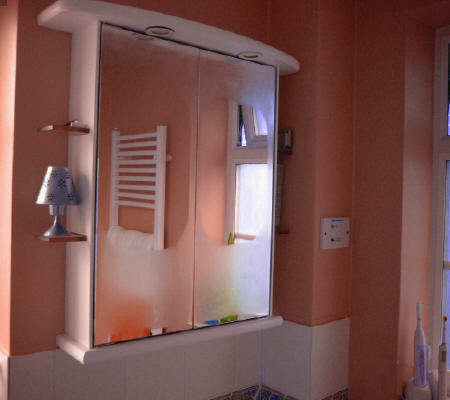 Others may claim it, but we really do offer the widest range and best prices on the web for bathroom mirror demisters. We will beat any price on a "like for like" product. Easy to install with self adhesive backing. Custom build - minimum order quantity/charge will apply. Buy On-line or send your order by post.